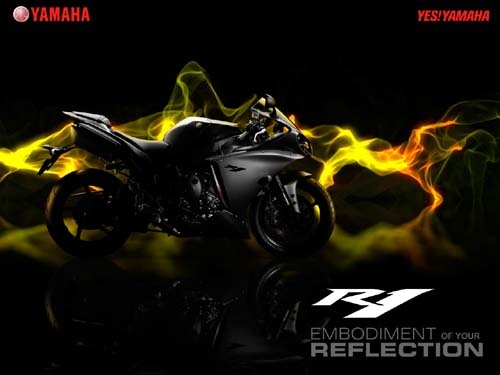 Superbikes or Sport bikes are motorcycle tweaked for high speed and acceleration.These vehicles can be braked at higher speed,cornered well at high speeds.They will be powered with engines that burn lot of fuel and hence will be less efficient vehicles.These vehicles are made for excitement and not for commuting.Yamaha R1 is a litre class superbike sold in India. It was in 1998 that R1 was first spotted on the roads.Dark twin headlamps and pilot lamps look like a bull staring at you.Powerful and massive engine is located beneath the big twinspar frame in the side.Further top is the chiseled like muscular fuel tank.The front view is made majestic by 43mm front fork with independent damping, big disc brake with six piston caliper and wide tyres.The controls located behind the big visors shows the vehicle 's speed, engine speed, gear position, temperature, time, trip meter,service indicator etc.The attractive feature in the rear is it's exhaust.Underseat double exhaust has been replaced by american company Tosi's performance exhaust. 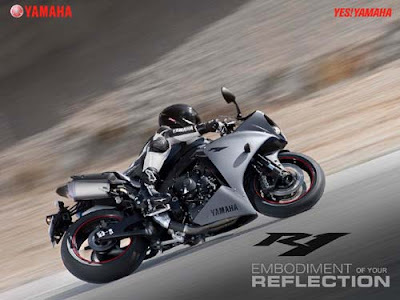 The vehicle is powered by 998 cc liquid cooled four stroke DOHC four valve engine.Yamaha has designed this bike with the crossplane crankshaft design similiar to that of the yamaha's motogp race bike M1.The engine is known for it's high torque and throttle feel.The weight of the bike is 206 kg and it feels that most of the weight is concentrated on the front rather than the rear.Like other bikes in this category this vehicle has six speed transmission.Sudden throttle response is achieved by yamaha's chip control throttle system.180 bhp @ 12500 rpm is it's highest power and 115.55 Nm @ 10000 rpm.Good handling and cornering is another feature of R1.Aluminimum frame and CF diecast magnesium frame in the rear has contributed to this aspect.The rear 190/55-17 sized tyre offers excellent road grip.R1 superbike which can race at speeds of 285 kilometers per hour is controlled by 310 mm twin front disc brakes and 210 mm single rear disc brakes. 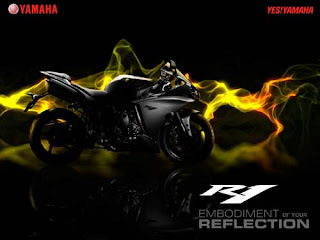 Suzuki, Honda and Duccati are competitors of yamaha in india.However Yamaha R1 is the early bird.This vehicle's showroom price is Rs 14 lakhs in India.